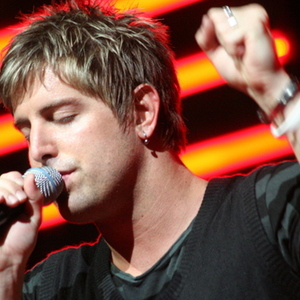 Jeremy Camp, a multi-award winning Christian vocalist and guitarist, was born on January 12, 1978 in Lafayette, Indiana. His thoughtful lyrics and booming voice have earned him legions of fans and accolades including 16 No. 1 songs, five Dove Awards, three ASCAP Songwriter of the Year wins and an American Music Award nomination. Before his music career began, his father (a pastor at Harvest Chapel church in Lafayette) taught his son how to play guitar. After completing high school, Camp attended a bible college in Southern California for two years. Camp was raised in a Christian home and drew musical inspiration from worship music and secular tunes alike. Touchstone albums in his artistic development include U2's The Joshua Tree, Delirious?' King of Fools , Jars Of Clay's debut album, Jars Of Clay, and Steven Curtis Chapman's The Great Adventure. When one of the worship leaders at the school heard Camp playing with some friends at his dormitory, he urged him to become involved with their music ministry program, and soon he was performing at Christian music events all over California, recording a self-released disc called Burden Me in 2000. At one such appearance, Camp met a young woman named Melissa, and the two struck up a friendship that blossomed into a romance. When Melissa broke off the relationship after a few months, Camp was crushed, but when he next saw her, her life had taken a serious turn -- she had been diagnosed with ovarian cancer and was in the hospital. When Melissa went into remission, Camp married her, but after their honeymoon, they discovered the cancer had returned, and in early 2001 she passed on; she was only 21. Camp poured both his sorrow and the faith that helped see him through into his music, and in 2002 he was signed to BEC Recordings, who released his first nationally distributed album, Stay; it was both a critical and commercial success, and five songs from the disc reached the top of the Christian singles chart. While touring in support of Stay, Camp met singer Adrienne Leisching, former singer with the Benjamin Gate; the two hit it off, and in 2003 they were married, and have since been blessed with two daughters. In 2004, Camp released his second album for BEC, Carried Me: The Worship Project, which matched the gold record success of Stay, and Camp won two Dove Award trophies for Best Male Vocalist and Best New Artist. In 2005, Camp released two albums -- a studio set, Restored, which rose to number 45 on the Billboard Top Albums chart and spawned three number one Christian singles, and a live disc, Live Unplugged from Franklin TN. Camp also recorded the song "Open Up Your Eyes" for the soundtrack of the hit film The Chronicles of Narnia: The Lion, the Witch and the Wardrobe, which earned him another Dove Award. The fall of 2006 brought another studio set from Camp, Beyond Measure, which reached number 29 on the Billboard charts and produced two more hit singles. Speaking Louder Than Before, his sixth album, was released on November 25, 2008. The Way Songfacts reports that his seventh album, We Cry Out: The Worship Project, was released on August 24, 2010, and peaked at #1 on the Billboard Christian Albums Chart.